This 21-year-old is broadcasting her life on YouTube. And with 12 million views and 96,000 followers, she’s changing attitudes too. Seven years ago, Jaquie Beckwith met her husband Judd in a church near Orlando, Florida. She was 14 going on 15, he was 16, and the teenagers began dating on June 12, 2011. A few months later, everything changed. Jaquie has a rare form of mitochondrial disease, a genetic mutation that only one other person in the world has. 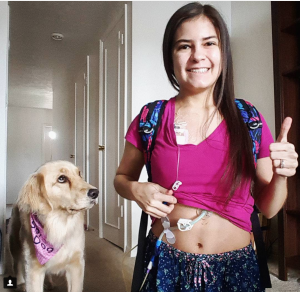 Because the mitochondria are crucial to cell function, Jaquie has more than eight chronic illnesses, including Ehlers-Danlos syndromes, postural orthostatic tachycardia syndrome (POTS), and gastroparesis. When she hit puberty shortly after her and Judd got together, Jaquie began having serious gastric issues, seizures, and narcolepsy. She left her high school and took classes from home and hospital beds. Jaquie liked Judd, but she worried her new normal was more than he had bargained for. “I gave him an out,” Jaquie says. “I said, ‘You know you’re only 16, you didn’t sign up for this. You can leave if you want.’” Judd said no way, and the couple married last summer. In March 2016, Jaquie started the YouTube channel Chronically Jaquie, originally to show viewers how she trained her service dog, a golden retriever named Harlow. Two years and 12 million views later, the channel has blossomed into a series of daily vlogs about Jaquie and Judd’s life—the gleeful date nights, the time her feeding tube slipped out and dripped formula onto Harlow during the night, the scary pre-surgery days and the public allergic reactions—it’s all there, and 96,000 subscribers tune in to share in the experience. 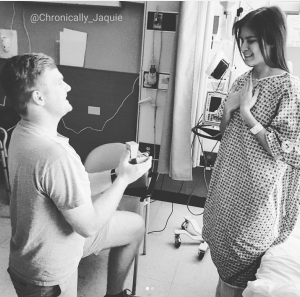 “Chronic illness can vary in how it affects you, from hour to hour,” Jaquie says. “There’s just a lot of people out there who believe if you can’t see why someone is ill, then they’re not ill.” Some days, she can walk around unassisted; others days, she needs a wheelchair. 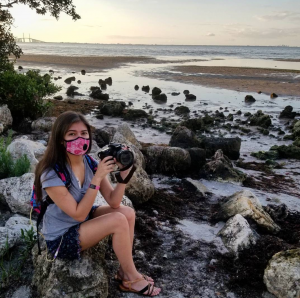 The average person doesn’t normally see people like Jaquie waking up to breathing treatments, pills, and feeding tube maintenance, and that’s what she’s trying to change. She hopes to foster understanding and encourage research to ultimately find a cure. At 21, Jaquie has more experience navigating doctors and treatment strategies than most people twice her age. Through her life’s ups and downs, she’s learned three major lessons about living with invisible illnesses. 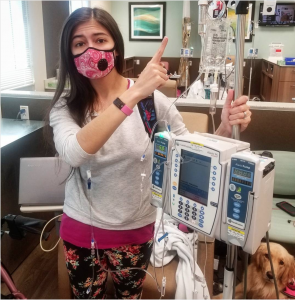 Although mitochondrial disease is the underlying cause of her chronic illnesses, Jaquie spent years with a myriad of doctors before she got the diagnosis. Every time she sees a new physician, she has to explain the evolution of her symptoms from the beginning, with varying levels of success. If Jaquie does get a referral, it’s usually to a big hospital hours away. With a driving restriction of 20 minutes per trip, Jaquie relies on others for rides. Over time, she’s learned to speak up for herself to get the care, medication, and nutrition she needs. 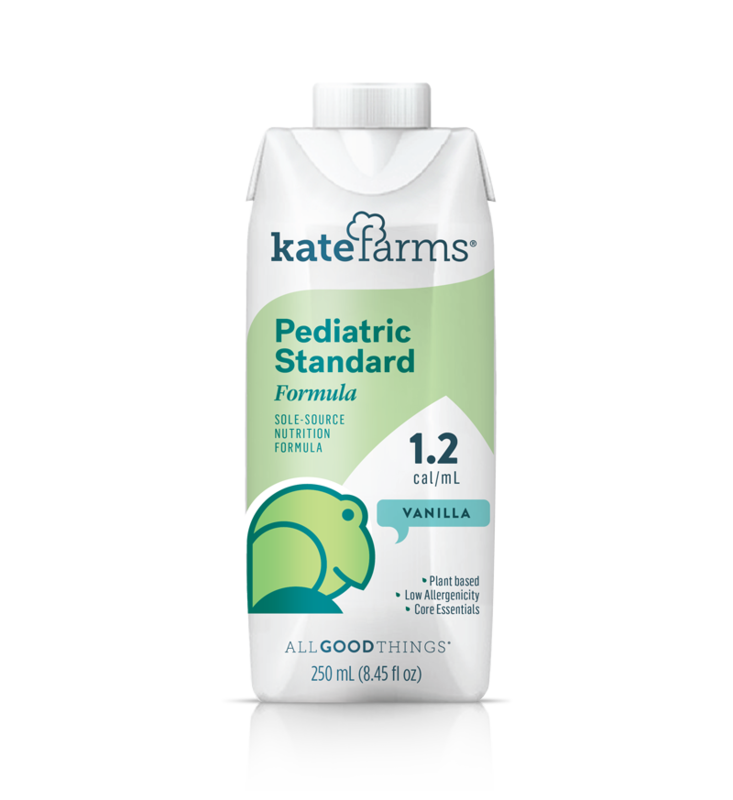 In September 2017, after previously vlogging about being in the market for a new formula for her feeding tube, one Chronically Jaquie viewer reached out to Kate Farms and directed the company to Jaquie’s channel. 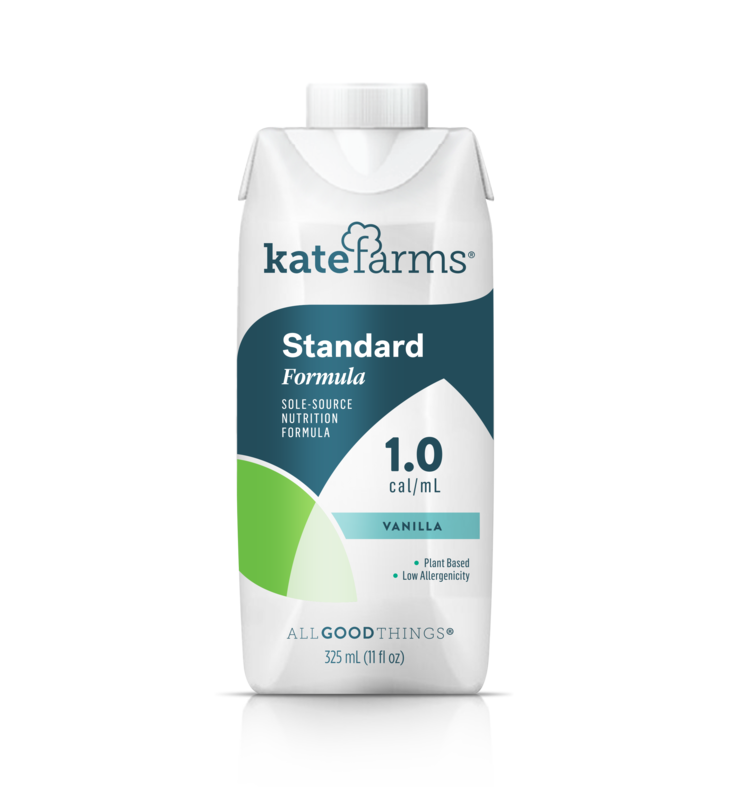 She needed to switch formulas because her old formula was giving her gastrointestinal distress and her body was having trouble absorbing it, and soon, she was mailed enough free Kate Farms Peptide Plus formula to hold her over until her insurance began covering it. Jaquie’s life is marked by change. She was born in London; her father built high-end resorts for a living, so she spent her first three years in Indonesia and India. She split her grade school years between classrooms in the Caribbean island of Anguilla, Nevada, and central Florida. She enrolled in college to major in communications, then had to medically withdraw for a whole year. Now, she’s taking classes online. On multiple occasions, Judd has saved her life when she can’t administer her own medication during sudden bouts of anaphylaxis. “When I got sick, I was just kind of learning who I was as a person,” Jaquie says. “Nobody wants to be unhealthy or have chronic illnesses, but they’ve definitely made me stronger.” She says it’s taught her to be grateful for the smallest of things, and that her stubborn personality keeps her from letting her health hold her back. Jaquie hadn’t intended to focus the camera on herself when she created Chronically Jaquie. Rather, her Instagram followers asked her to start vlogging; they wanted to go past stills and short videos to see Jaquie and Judd’s raw daily experience. Not knowing what a vlog even was, Jaquie pronounced it “v-log” in the first videos.